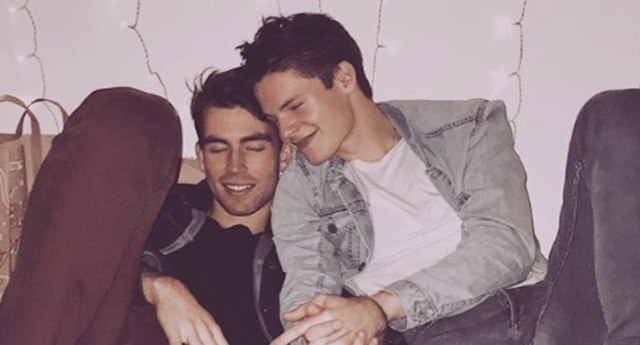 Former Major League Soccer (MLS) player Matthew Pacifici has revealed he has a boyfriend in an Instagram post. Pacifici, who used to be a goalkeeper for Columbus Crew in the MLS, posted the news to his more than 3,300 followers on Instagram on Sunday (January 20). The 25-year-old sportsman uploaded a photo of himself holding hand with his boyfriend Dirk Blanchat, who, like Pacifici, grew up in Charlotte, North Carolina, reports Outsports. Blanchat, who now lives in New York, also publicly came out to his followers on Sunday. Pacifici used to play for university side Wake Forest and later at Davidson Wildcats. He retired from football a couple of years ago after he was kicked in the forehead during a training session while at Columbus Crew, where he was signed as a third string keeper in 2016. Pacifici was diagnosed with postural tachycardia syndrome (POTS) after the incident, meaning his heart rate jumps abnormally high when he stands up from a lying-down position. Speaking to Outsports, Pacifici said: “When you’re in a relationship that makes you happy, and on social media you see people posting about their girlfriends, it feels weird not being a part of that. In June 2018, Minnesota United midfielder Collin Martin became the first openly gay active player in the MLS when he publicly came out.